Delight in dangling off this cliff's edge, where you and your coterie will feel like you've reached the most elegant end of the world. 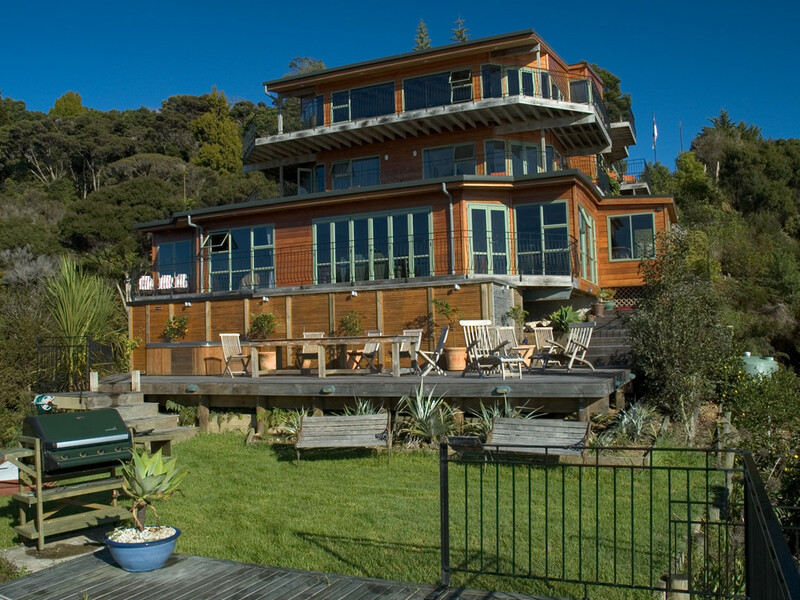 Unparalleled in-your-face water views from every room and surrounded by native brush makes this boutique a group getaway gem. 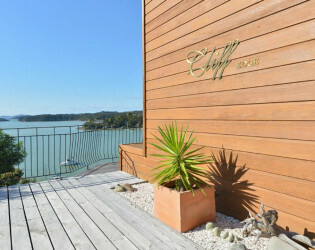 Cliff Edge by the sea first opened its doors as a guest lodge in 2000, over the years it has become renowned for its harmonious combination of relaxed elegant accommodation-personable from the heart service-unsurpassed water views and simply the best cooking in the Bay of Islands. 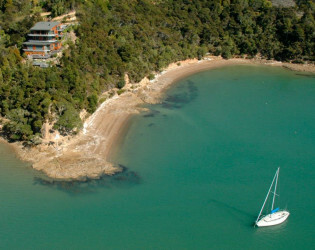 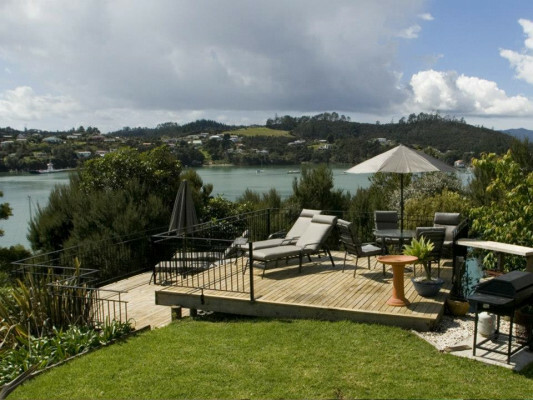 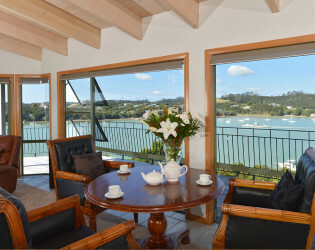 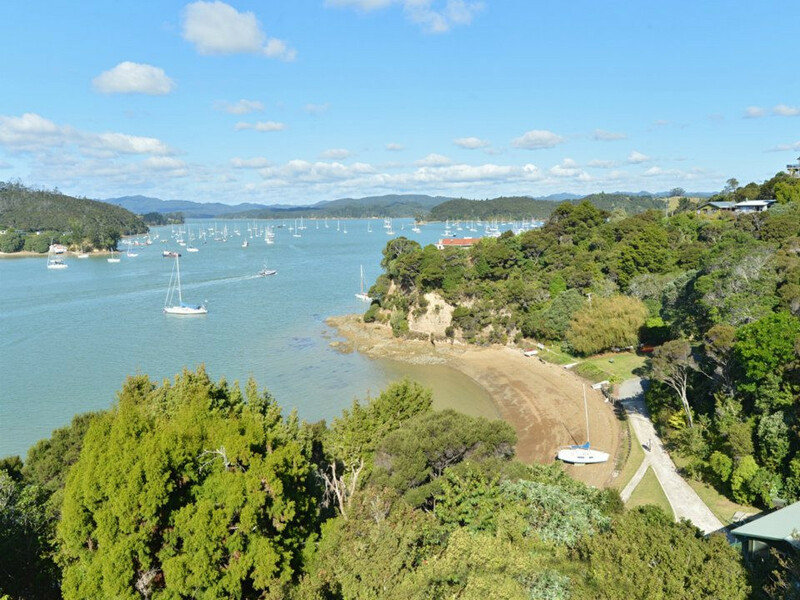 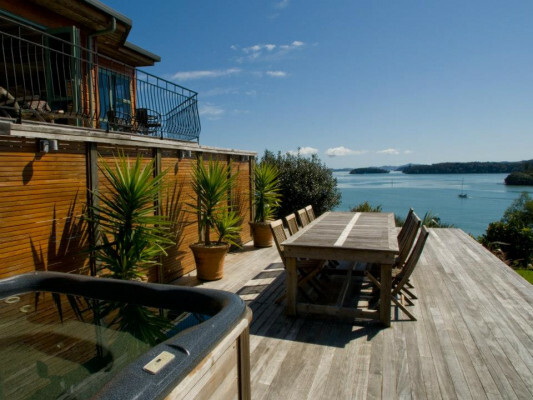 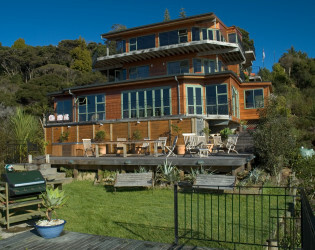 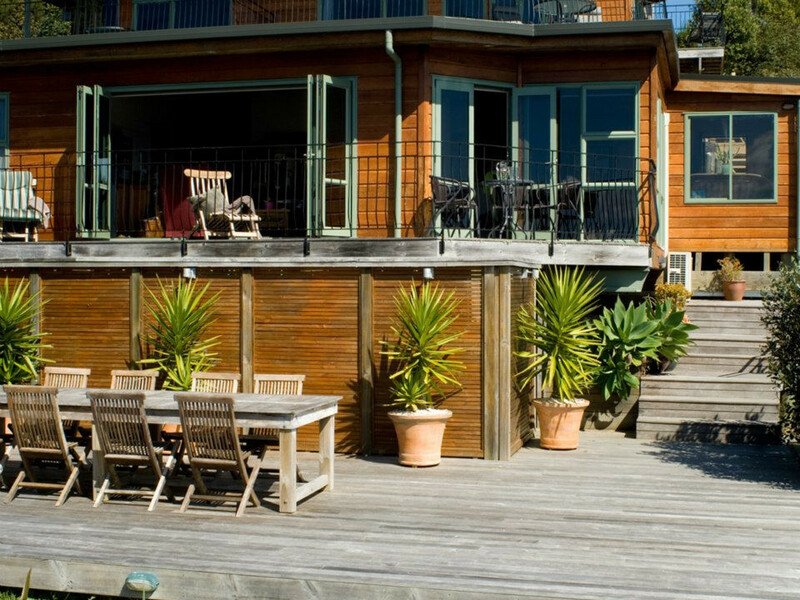 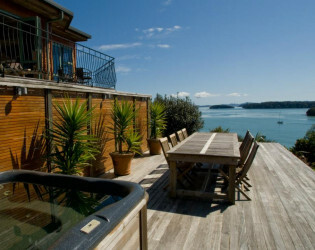 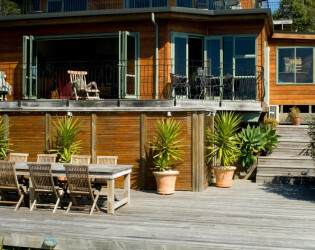 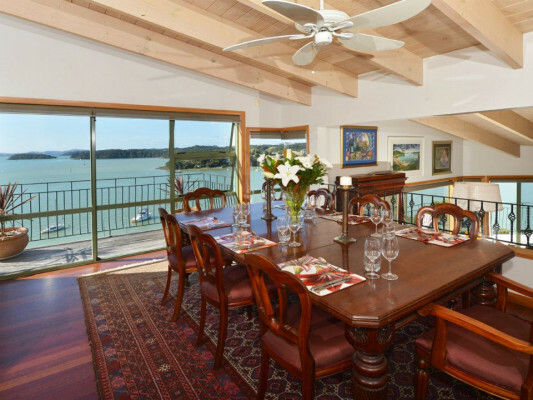 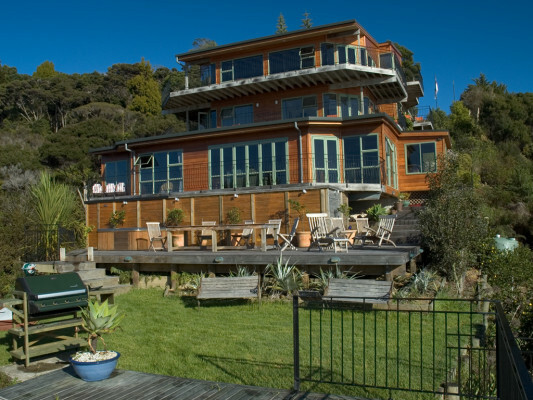 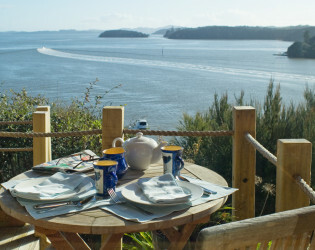 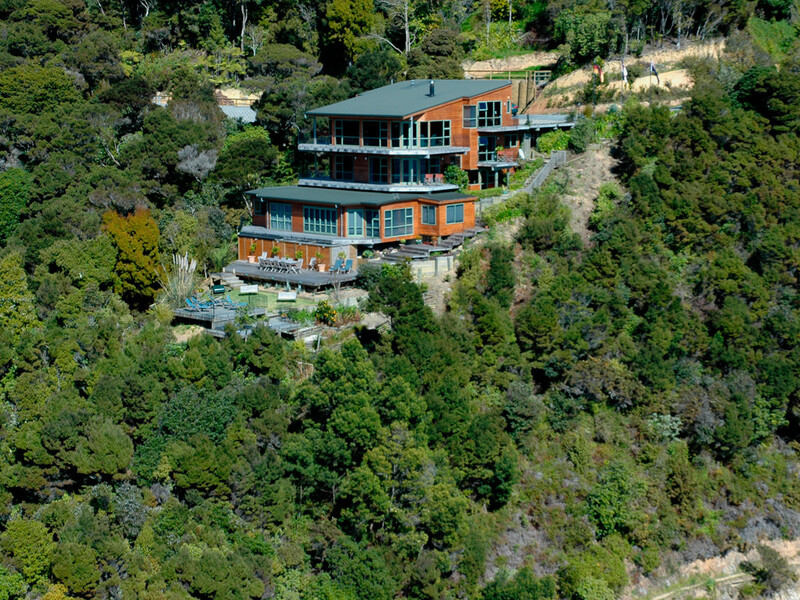 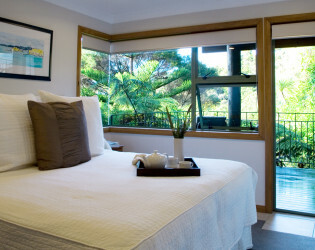 Located cliff top, in a private, native bush reserve a few minutes drive from Paihia, Cliff Edge By The Sea, has three luxury suites overlooking the Veronica Channel with spectacular views over the Bay of Islands between Paihia and the charming, historic town of Russell. 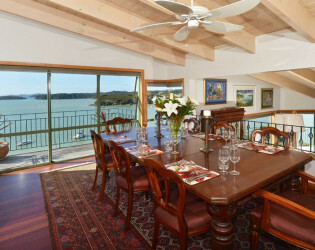 Each of the suites has an outdoor entertainment area with panoramic views of the sea. 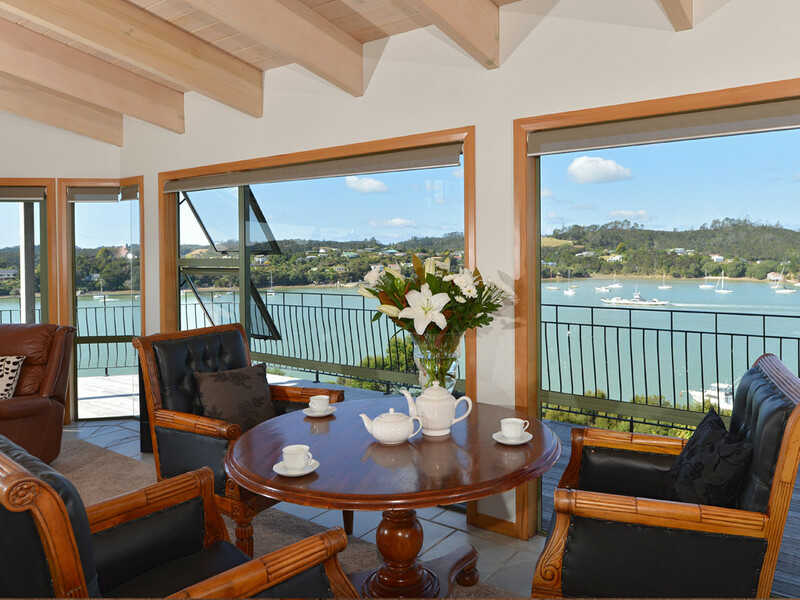 The design of the suites is contemporary throughout with floor-to-ceiling windows, large decks and expansive, open-plan lounge and dining room showcasing the beguiling views perfectly. The suites are spacious, comfortable and luxuriously stylish with their own bathroom (Waitangi Room also features a large spa bath). The unparalleled “ in your face” water views from every room are just magnificent. 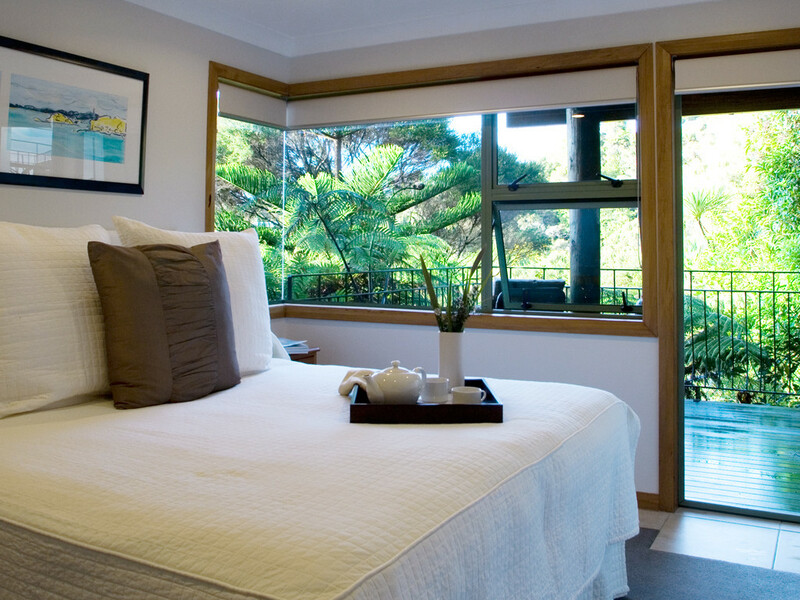 Full breakfast, local taxes and pre-dinner drinks are included in room price. 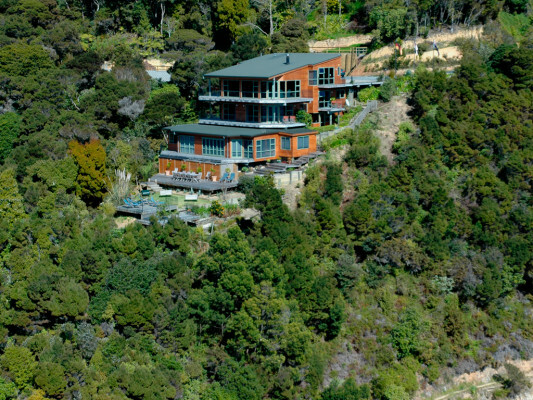 Sitting on top of a promontory above Veronica Channel the Guest lodge is surrounded by a native bush reserve- and with no immediate neighbors houseguests are assured relative privacy. 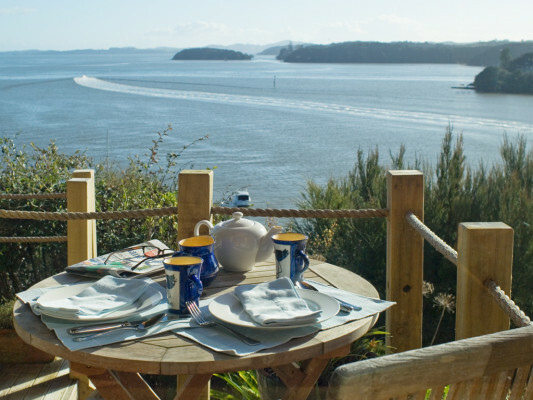 Cliff Edge is the perfect venue for honeymoons, a small groups of friends or family, small conference, romantic interludes to explore the many wonders of the beautiful Bay of Islands. 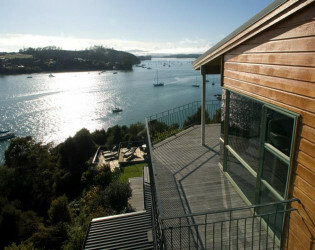 The architect idea was “to get as close to the water as possible and make the most of the magnificent views”. 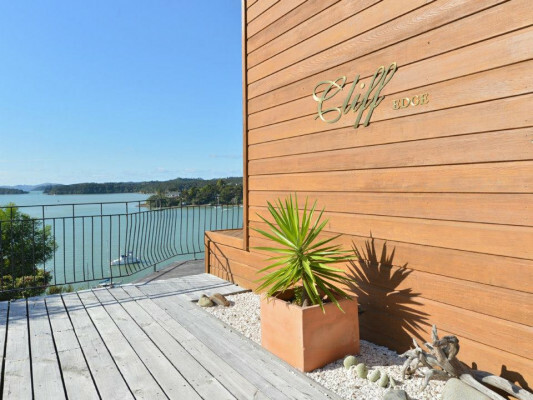 Cliff Edge is a multi level property that is in total harmony with its environment, stepping down on a promontory with very little visible land below. 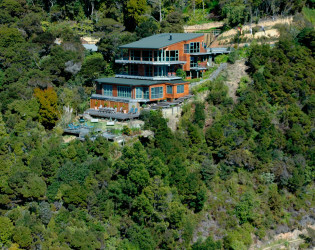 Looking out from the inside one gets the impression that the building is suspended over water.